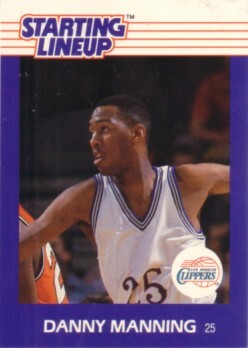 1989 Kenner Starting Lineup Rookie Card of former Kansas and Clippers superstar Danny Manning. NrMt condition. FIGURINE NOT INCLUDED. ONLY ONE AVAILABLE FOR SALE.